Lot # 1: 1882 Chicago White Stockings Cabinet Photo, Iconic Photo with Cap Anson and King Kelly! Incredible 1882 cabinet photograph of the powerhouse Chicago White Stockings of the National League. Led by the two biggest stars of the 19th century, Cap Anson and Mike King Kelly, the team also featured superstar infielder Ned Williamson and pitcher Larry Corcoran as well. 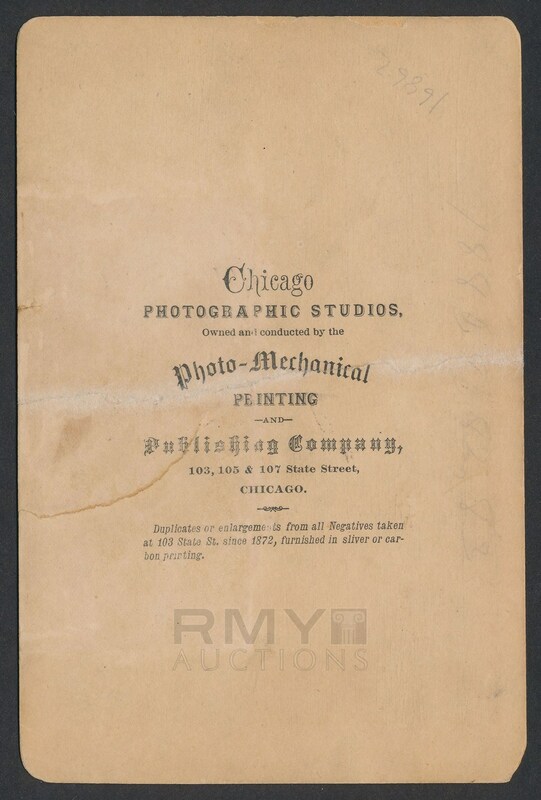 Issued by the Chicago Photographic Studio and with eleven men in uniform, the image also captures a fad at the time that put different color jerseys on different positions rather than wearing the same color! 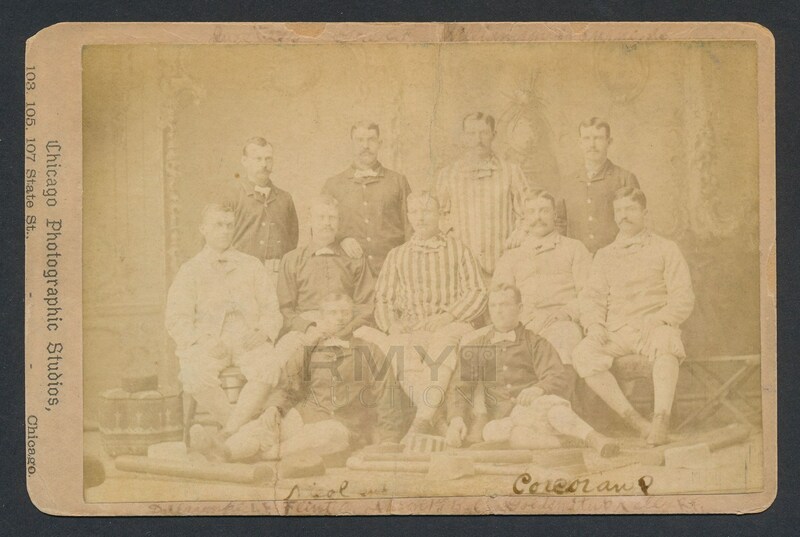 One of the greatest 19th century images in the hobby as this was an absolute stacked lineup and it pictures both Kelly and Anson from early in their careers. Cabinet presents well with a light crease and some handling wear, but overall it presents well. This is the only example of this cabinet photo that we know of in the hobby and it's importance can not be overstated!